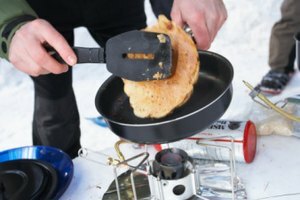 Making pancakes using a waffle recipe doesn't require any extra ingredients -- just different ratios using the same ingredients. 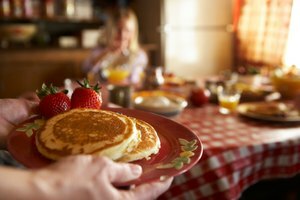 For both breakfast favorites, let the batter rest for five minutes before using it and count on similar cooking times. A pancake or a waffle takes five to seven minutes tops. 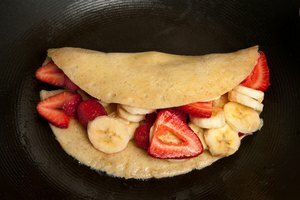 A well-made pancake has a springy, floppy quality. Ideally, it's brown on the outside with a cake-like interior, and It absorbs syrup a bit like a sponge. A perfect waffle, on the other hand, is a bit crunchy. In both traditional waffles and Belgian waffles, the checkered pattern of indentations makes for just-right nooks to hold tiny pockets of syrup. 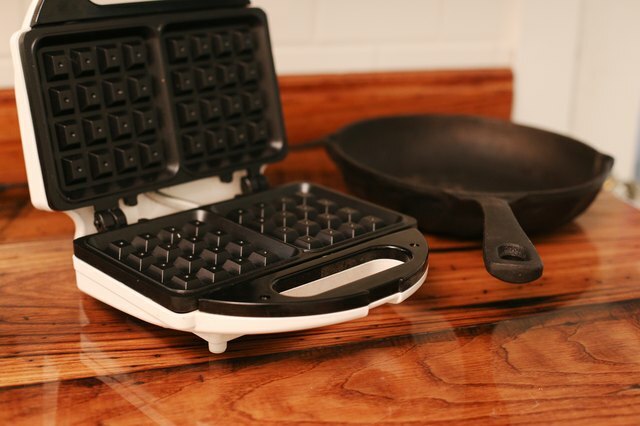 You need a special appliance, the waffle iron, for waffles, while you can make pancakes in a skillet or on a griddle, flipping them halfway through. If you are following a waffle recipe but want to make pancakes, reduce the amount of fat in the batter. The recipe might call for cooking oil, butter or another solid fat, such as shortening or lard. For a standard recipe, cut the amount of fat by one-half. For a recipe designated low-fat, reduce the fat by one-fourth. 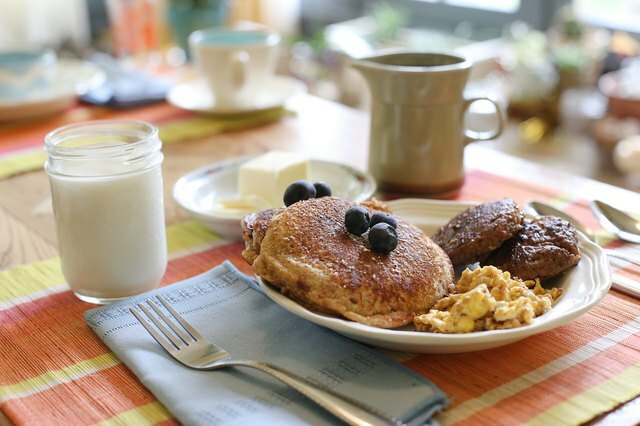 If the waffle recipe calls for sugar, eliminate it entirely for pancakes unless you are using buttermilk, sour cream, yogurt or another ingredient that adds sour notes. If so, reduce the amount of sugar by half. 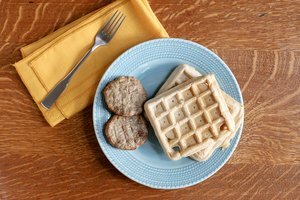 When you have pancake batter on hand, it is easy to make waffles instead. 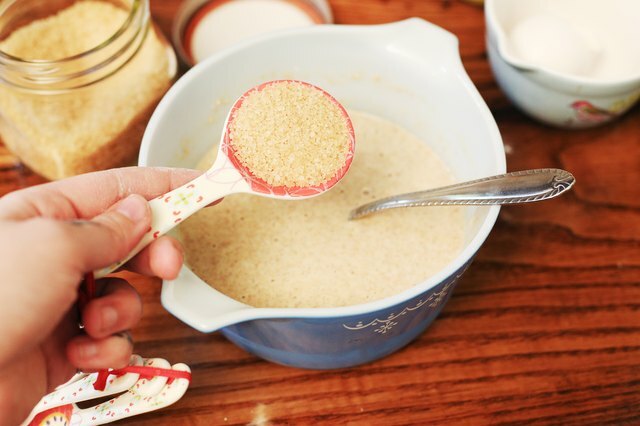 Add one extra tablespoon of fat -- in room-temperature liquid form -- for each cup of flour or dry mix. This is necessary to achieve crisp waffles. 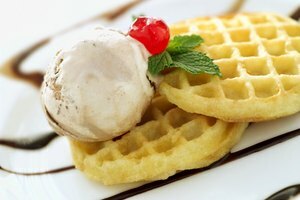 Add 2 teaspoons of sugar for each cup of flour or dry mix to ensure that the waffles caramelize properly. 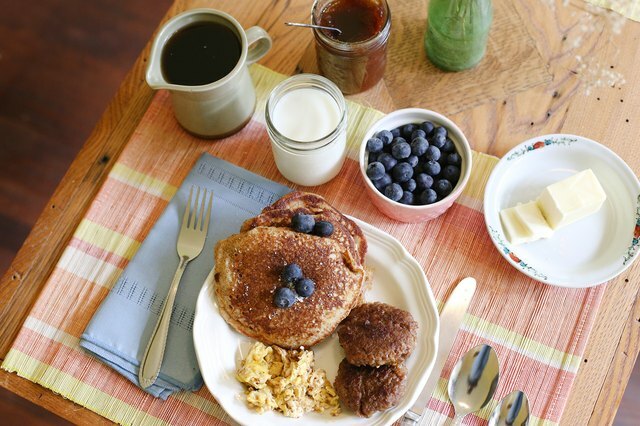 Whether you're serving pancakes or waffles -- or both -- set out the same set of accompaniments. 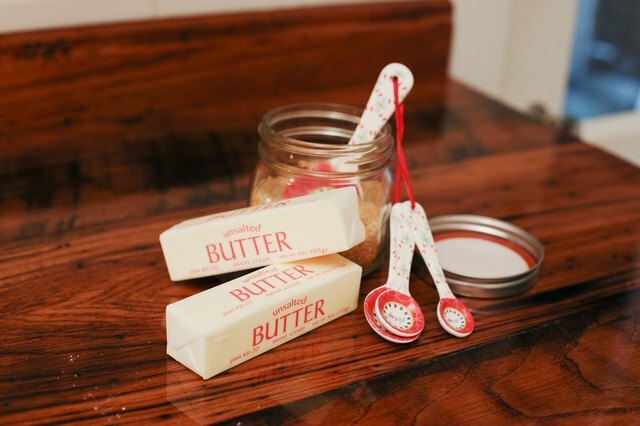 Serve real butter, either melted or served in cold, neatly sliced pats, and real maple syrup. Sprinkle confectioner's sugar over waffles and pancakes, and serve them with a homemade berry syrup made from heated, partially mashed berries. A side serving of a salty meat, such as sausage links or patties, or bacon, is always welcome. Complete a weekend brunch with milk, juice, fluffy scrambled eggs and fresh fruit.